Thank you very much, Mr. President, for convening this important meeting, and we commend your able leadership of the Council this month. 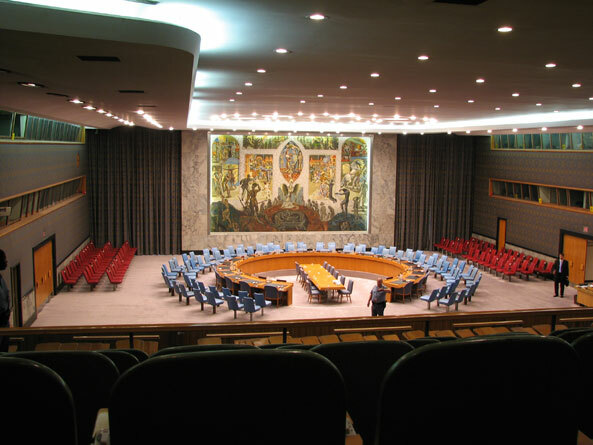 We also thank the Secretary-General for his report on Afghanistan, and welcome the presence of Under Secretary-General Ladsous and Under Secretary-General Fedotov among us. A month ago at the NATO Summit in Chicago, Afghanistanâ€™s friends and partners came together to express their unanimous support for the end of war and beginning of a new phase in our enduring partnership, which was first envisioned in Lisbon in 2010. Our partnership will continue into the Transformation Decade, during which Afghanistan will take full charge of its security, governance and development. Just weeks before, we inked the Enduring Strategic Partnership Agreement with the United States of America as a guiding framework of our bilateral cooperation for the long-haul, and solidifying mutual commitments, including strengthening Afghan sovereignty, stability and prosperity in the years to come. Although the specifics of this partnership will continue to be further crystallized, the agreement has been endorsed by both houses of the Afghan parliament â€“ a clear manifestation of the overwhelming support from all corners of the country. As part of the new phase of international engagement in support of Afghanistan, we have also established strategic partnerships with Italy, France, the United Kingdom, Germany, and most recently Australia. Furthermore, discussions are underway to conclude similar agreements with Turkey, Norway, and the European Union. Â And in our region, we signed a strategic partnership with India, a country with whom we have shared historic and traditional ties. Â Earlier this month, Afghanistan took an important step forward towards establishing a strategic and cooperative partnership with our other great neighbor, China. The launch of the Istanbul Process last November was a milestone in realizing a new regional order, by which Afghanistan and other Heart of Asia Countries joined hands for a common goal and future: peace, stability and prosperity. The Heart of Asia Ministerial Conference held in Kabul less than two weeks ago advanced the objectives of the Istanbul process. As part of the conference outcome, we reaffirmed our solid commitment to implement a wide-range of confidence-building measures (CBMs). I take the opportunity to convey our gratitude to all friends and partners for their participation and support. 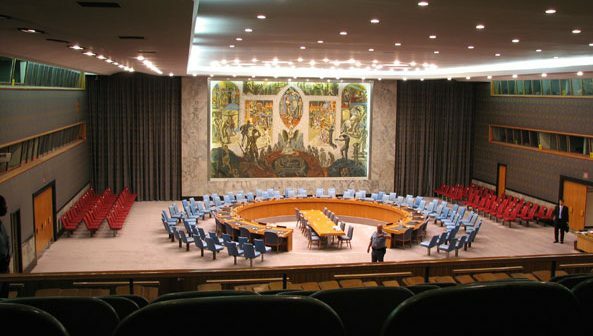 Afghanistan has also obtained observer status of the Shanghai Cooperation Council in its recent conference in Beijing. It is an important move. With all these steps, Afghanistan is restoring its historic role as a land-bridge, and its potential to become a catalyst for peace and stability in the entire region. 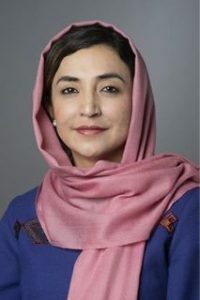 We look forward to next monthâ€™s Tokyo Ministerial Conference, where we aim to effectively address the areas of Afghanistanâ€™s economic sustainability and development, addressing the fiscal gap, as well as finalizing a mutual accountability agreement between Afghanistan and the international community. In Tokyo, Afghanistan will be presenting a comprehensive action plan on self-reliance, and our national priority programs. The conference will not be another pledging event, but an important venue for a solid commitment of the international community during Transition and the Transformation Decade. Â Our thanks go to the friendly Government of Japan for their generosity in hosting the event. Transition to Afghan ownership and leadership is our number one strategic priority. In that regard, I am pleased to note that we are making steady progress. The third tranche of security transition has officially commenced, which includes some of the most conflict prone provinces with the highest levels of insecurity. Â Needless to say, we are on track to complete the third phase before the end of the year, by which seventy-five percent of the population throughout the country will come under Afghan security force responsibility.Â As we strive to complete security transition by 2013, the need for sustained support for training and equipping of our national security forces is inevitable.Â NATO and other alliesâ€™ undertakings for such support at the Chicago NATO Summit are particularly important. Another core-priority on the way forward will a strong new focus on establishing a more clean and competent government, strengthening governance, fighting corruption, and enforcing the rule of law. The agenda of reform is in the center of our efforts. At the same time, we are diligently addressing all currents that may pose a threat to national interests, law and order. Such measures will enhance the full trust and confidence of all Afghans for the future. A far more challenging task will be implementing the socio-economic component of Transition, which is vital to our state-building efforts. 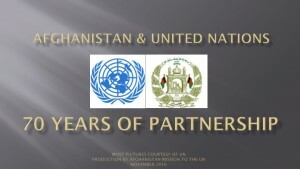 Central to this goal is underscoring support for the Afghan National Priority Programs, which in addition to security and governance, emphasizes development of our agriculture, human resources, infrastructure and private sector, all of which are vital for our economic growth.Â Our vision is an Afghanistan that is a self-reliant state, standing on its own feet. Afghanistan will not remain an aid economy; we are working to significantly reduce aid dependency by the end of the Transformation Decade. Advancing the peace-process towards a successful outcome is a core-element of our strategy to bring lasting peace to our people and nation. Â Pursued on the basis of a national consensus, we are convinced that our reconciliation efforts remain the surest path to ending the conflict and a ensuring a durable peace. Let there be no doubt, our Afghan-led peace process will not ensue at the expense of the hard won democratic gains of the past decade, including human rights, the rights of women in particular. For achieving a successful outcome to our reconciliation efforts, I wish to underscore the importance of resolute support from our immediate neighbors, and other partners in the region and beyond.Â In this connection, I take the opportunity to express gratitude for the support provided by this Council with the framework of the 1988 Committee. The up-coming elections in 2014 will be another important step towards Afghanistanâ€™s political maturity and the consolidation of democracy. We are taking a number of measures, including electoral reforms, to ensure a smooth political transition, consistent with our constitution. As we proceed through transition and into the Transformation Decade, international engagement will remain crucial. In that regard, we also look forward to advancing our close cooperation with the United Nations towards peace and stability in Afghanistan. One of the greatest impediments to both development and security in Afghanistan is theÂ illicit drug problem. Despite our challenges, Afghanistan is sparing no effort to rid our society of the menace of illicit drugs. Over the past 5 years, we have significantly reduced poppy cultivation. However, there are a number of various factors that impact the increase and decrease of poppy cultivation from one year to another. And just this year alone, eradication figures have increased three-fold since the previous year. We are tracking down and bringing to justice an increased number of individuals involved in drug trafficking. A long-term solution is not possible without cooperation and coordination in addressing the dominant factors behind the drug problem, such as preventing flow of chemical precursors into Afghanistan, as well as providing Afghan farmers with alternative livelihoods. Â As we continue our joint journey towards a peaceful and stable Afghanistan, building on the gains of the past, Afghanistanâ€™s enemies are still very much intent on derailing our progress, and preventing our success. This is evident by continued brutal acts of violence and terror by the Taliban and those behind them, the latest of which was the massacre on Spozhmai Hotel just outside Kabul last weekend. It is a continued psychological war, a war of perception. However, Mr. President, no such shameful acts of terror will deter the will of the Afghan people from their ultimate goal of securing peace and prosperity. Afghans have come too far, and endured far too many sacrifices to give up now. With such brutal acts, the Taliban are not threatening the state, they are just disrupting peopleâ€™s peaceful lives. Let us remain committed as ever before to complete the journey we began a decade ago. The Afghan people and Government express their gratitude to the international community for their resolute support for Afghanistan. I thank you Mr. President!